Tori working on a design project for the Group. 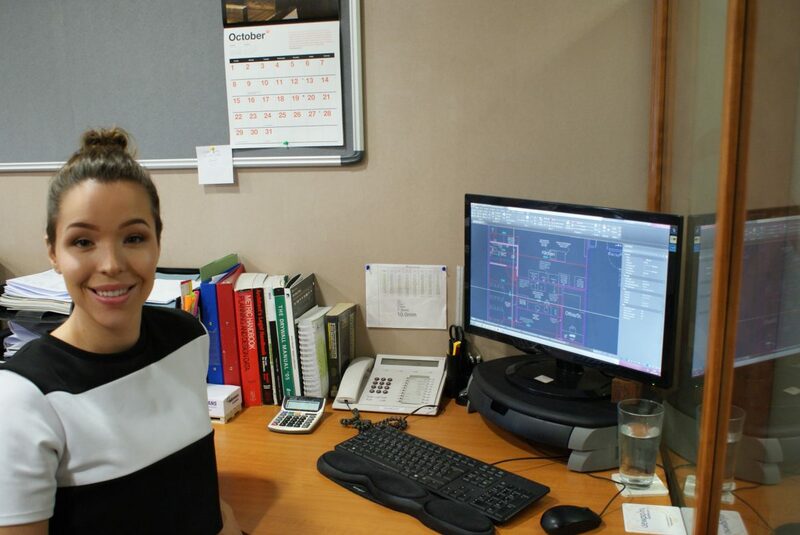 We would like to congratulate Tori, our Design Assistant, who has recently completed her college course in Construction and the Built Environment. Forming part of the framework for the Level 3 Advanced Apprenticeship in Construction Technical Supervision and Management, with 12 core units covering all aspects of the industry, Tori has excelled after achieving nine Distinctions, three Merits and an overall grade of D*D.
After a history of late nights and a supposed ‘party-hard’ attitude, there were some light hearted concerns that I wouldn’t make it out alive. I am extremely happy with the results I have achieved and would like to thank everyone who has helped me on my journey. It’s true when they say that hard work pays off, just don’t get temped by the bright lights and cheap drinks along the way and you will be just fine.